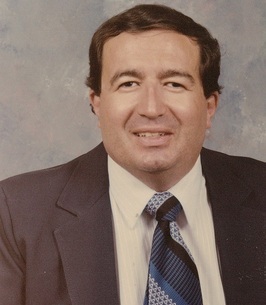 Nicholas Mendolia Service Details - Clearfield, Pennsylvania | Beardsley Funeral Home & Crematory, Inc.
— Beardsley Funeral Home & Crematory, Inc.
Nicholas James Mendolia, 65, of Brookville died on Sunday, September 30, 2018 at Penn Highlands Brookville. He was born on May 31, 1953 in Clearfield, a son of the late John and Jennie (Lemmo) Mendolia. Nick was most recently employed by Goodwill Industries, DuBois. Prior to that he was employed at the former Montgomery Ward in DuBois and by the Pennsylvania Employment Center in Johnstown from 1983-1984. He was also employed by JCPenney and was an executive assistant at the Henry E. Meyers Towers, Clearfield. He attended Clarion State University for four years majoring in Business. Nicholas was an avid sports enthusiast, faithfully following the Pittsburgh Steelers and Pirates and Penn State sports. He was a member of St. Francis Catholic Church, Clearfield and later became a member of St. Catherine of Siena Catholic Church, DuBois. He was a former Third Degree member of the Knights of Columbus, Clearfield Council #409. He is survived by three sisters, Kathy Sacca of Northern Cambria, Margaret Conaway and husband Ira Neal of Clearfield, and Mary Ann Lashinski and husband Frank of Clarks Summit; the following nieces and nephews, Mary Ann Peddicord and husband Michael, Lori Conaway, Ryan Conaway, Brittany Pagnotti and husband Victor, Frank Lashinski IV, John Lashinski, and Jennie Lashinski; and a great nephew, Victor V.
In addition to his parents, he was preceded in death by his infant brother, James Mendolia. Mass of Christian burial will be said at the St. Francis Catholic Church, Clearfield on Saturday at 1 PM with Fr. Brandon Kleckner as celebrant. Interment will follow in the Calvary Cemetery, Clearfield. Friends will be received at the Kevin A. Beardsley Funeral Home, Clearfield on Saturday from 11 AM - 12:30 PM. The family suggests that memorial contributions be made to St. Francis Church, 212 South Front Street, Clearfield or to St. Catherine of Siena, 118 S. State Street, DuBois, PA 15801. To sign the on-line guest book go to www.beardsleyfuneralhome.com.